Bicycling is a popular activity amongst children and adults alike. Its health benefits are known and it can provide great enjoyment. But this hobby is not without its hazards. According to statistics compiled by the Illinois Department of Transportation, on average there are thousands of cyclists that are injured each year on the roads in our state. Did you know that while many people were injured in the majority of these incidents, 28 of the collisions caused fatalities ? Have you or someone you love become one of those victims due to the negligence of another motorist? The Chicago bicycle accident attorneys at the law offices of Goldberg Weisman Cairo have successfully represented numerous injured Illinois bicyclists, and we look forward to doing the same for you. Take control. Call us today at 1-312-464-1234 or reach us online by completing our “Free Case Evaluation” form and let us discuss the merits of your claim. Because a bicycle is considered a vehicle, under Illinois law, bicyclists have the same responsibilities and corresponding rights as operators of other vehicles like trucks and automobiles. 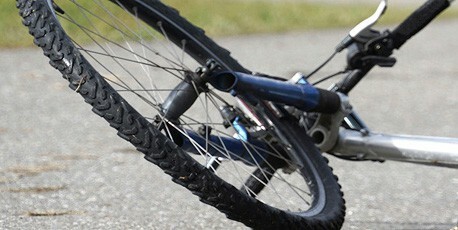 Oftentimes, collisions involving bicycles occur because a distracted driver carelessly failed to notice a bicycle in its path, or otherwise neglected to follow the rules of the road. When you call GWC, a knowledgeable bicycle accident attorney will immediately assess the facts to identify any people and/or entities whose fault may have played a role in causing your injuries or those of your loved one. Especially when the other party to the crash is driving a larger vehicle, the chances of serious or fatal injuries runs high. In the case of head injuries – one of the most common types of injuries sustained by bicyclists – the effects can be long-lasting or permanent. The accompanying medical expenses and time missed from work can seem overwhelming. If you were injured while riding your bicycle and believe that your injuries resulted from someone else’s negligence, contact GWC today.